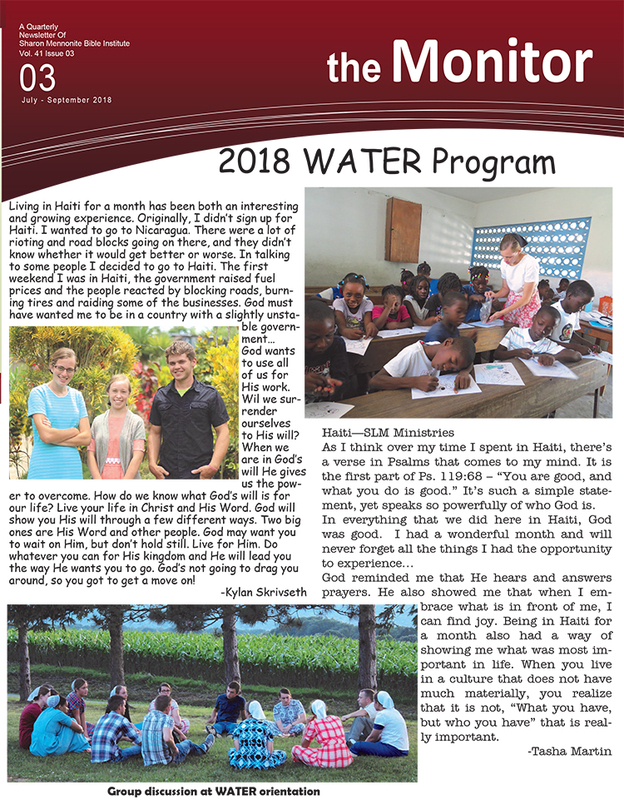 In this newsletter, WATER students Hannah Miller, Tasha Martin and Kylan Skrivseth reflect on their trips to Guatemala and Haiti. 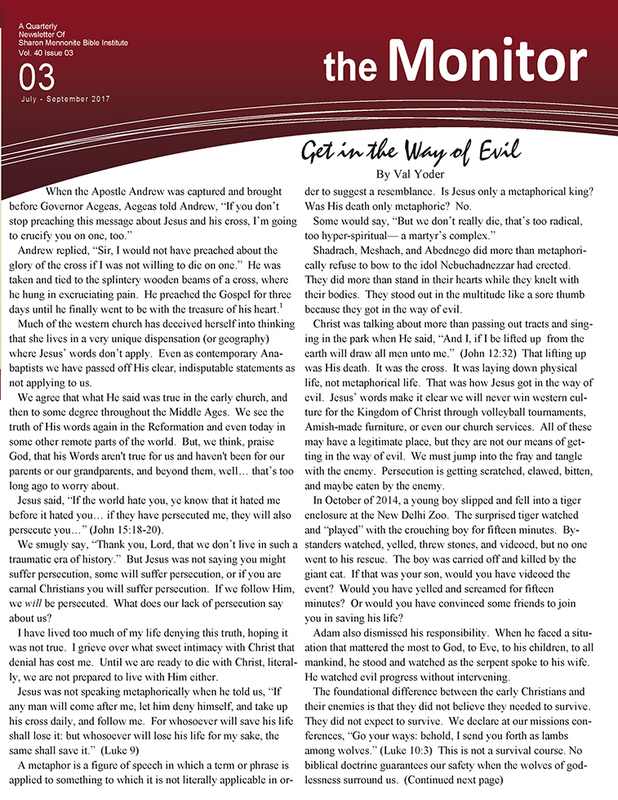 Val Yoder first delivered the message Get in the Way of Evil at REACH 2017, a gathering of young people and numerous conservative Anabaptist ministries. The message is here adapted for The Monitor. 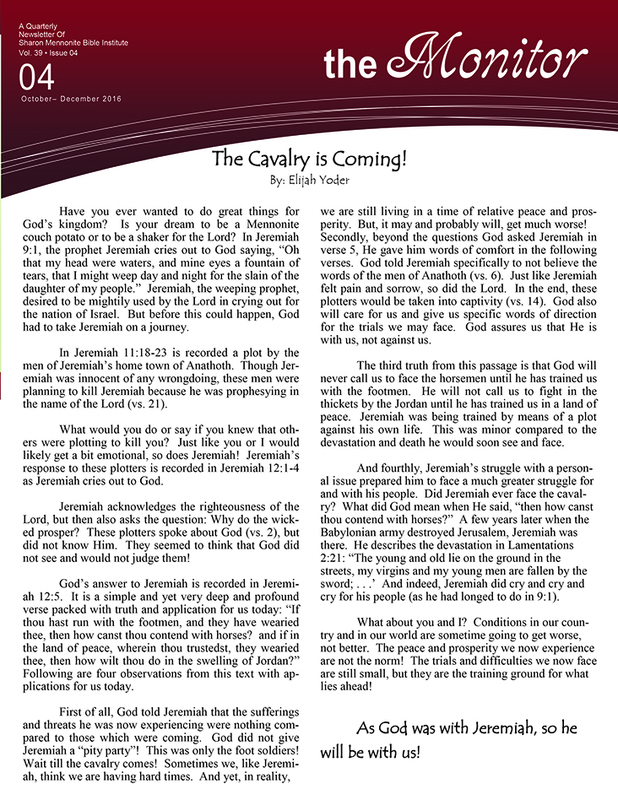 In this newsletter, Evan Byler reflects on the choir tour experience of Haiti. 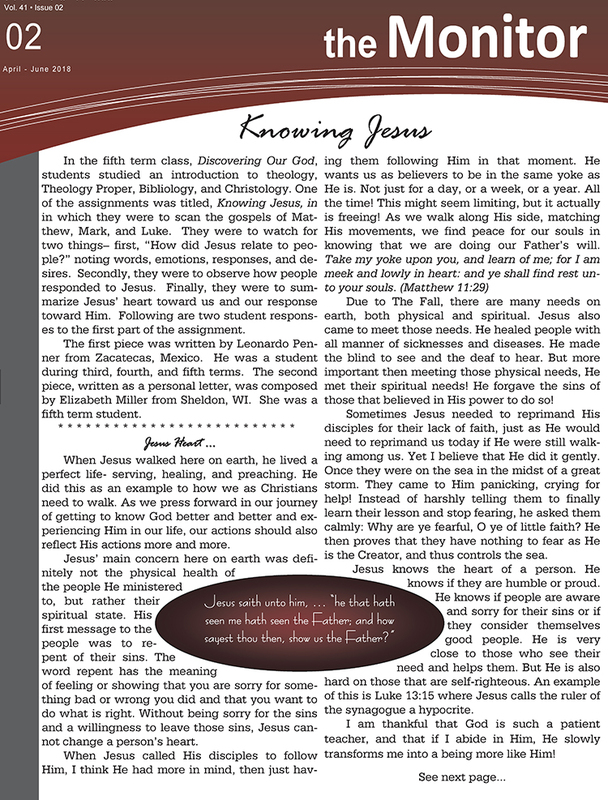 Two students – Leonardo Penner and Elizabeth Miller – reflect on an assignment they completed for Discovering Our God. 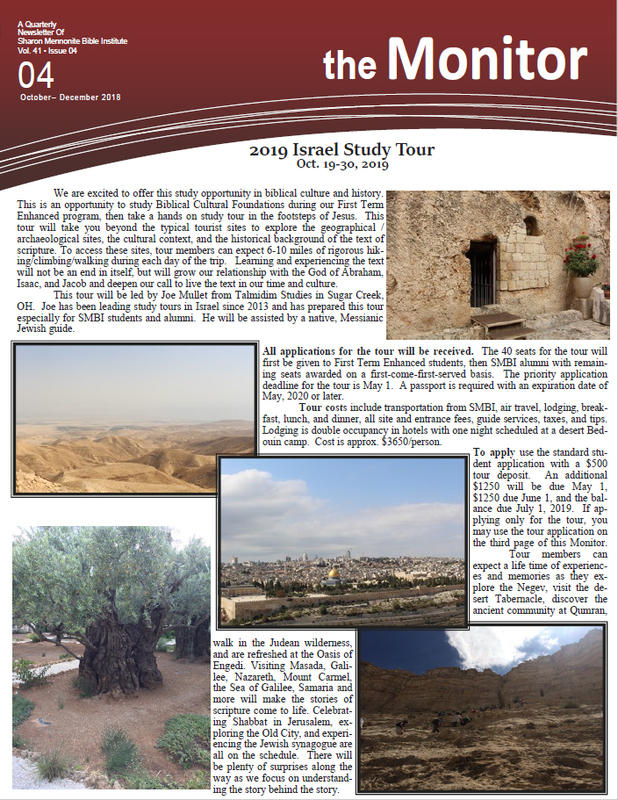 Ashley Ruhl, a student at SMBI’s first term, reflects on the experience of the Anabaptist History Tour. 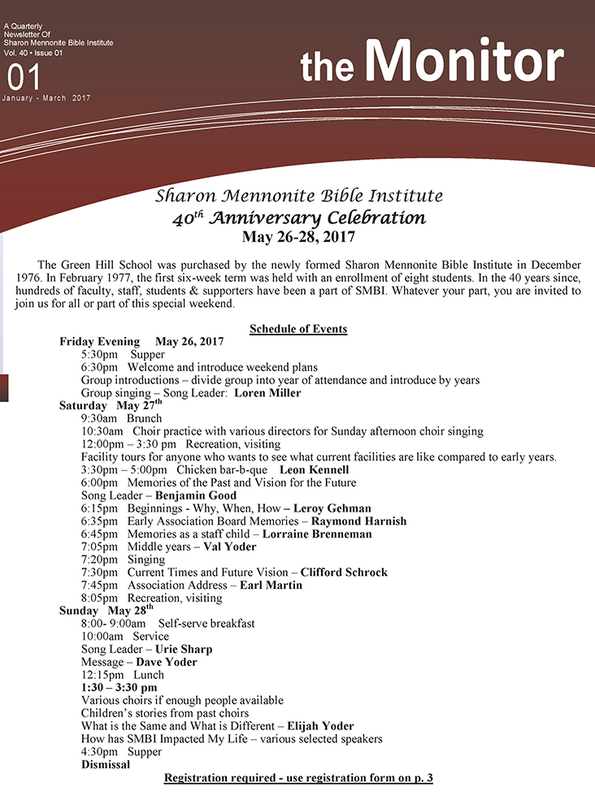 SMBI is celebrating its fortieth anniversary! Join us for three days of reflection, connection, and celebration. 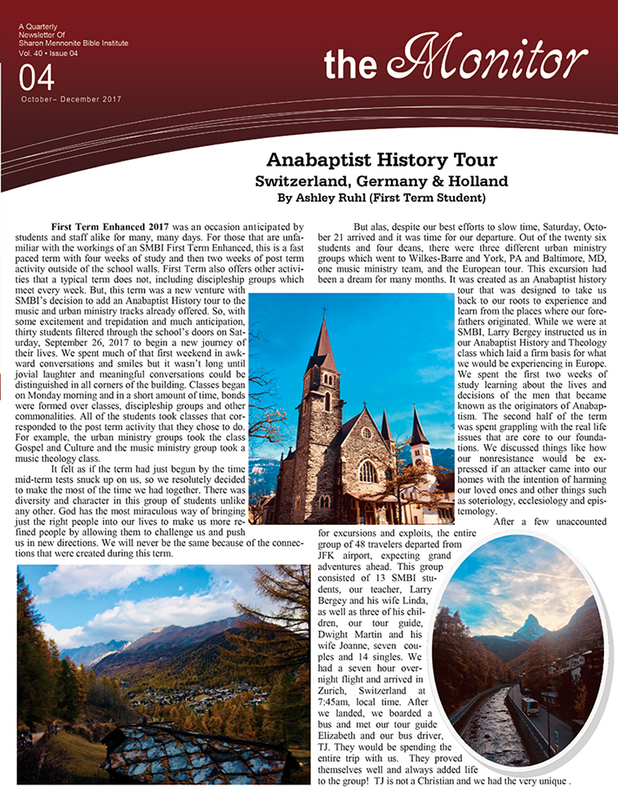 Additionally, this edition of the Monitor features an invitation to join Dwight and Joanne Martin on an Anabaptist History Tour of Germany, Switzerland, and Holland. What is the worst thing that could happen to you? Physical death? 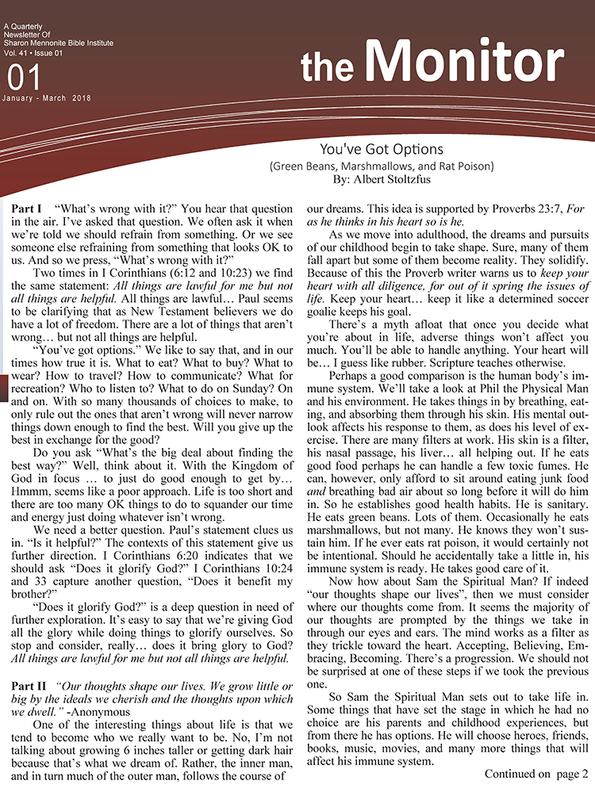 Clifford Schrock, administrator of SMBI, explores end-of-life questions in this fall newsletter.